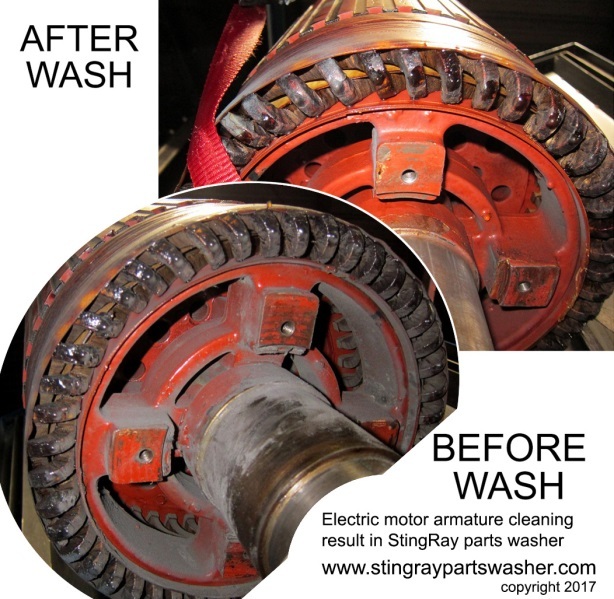 Washing electric motors and generators including windings is a common remanufacturing and repair process for hundreds or thousands of electric motor shops across the US and around the world. One-step in the process is drying the stator and rotor windings after cleaning. There are a number of methods used including circulating of current with a small DC voltage though the windings to generate self-heating, natural air drying (several days or more to dry with this method), air drying with external heaters, drying in a bake off oven and vacuum drying. Vacuum drying offers several advantages over the other techniques. 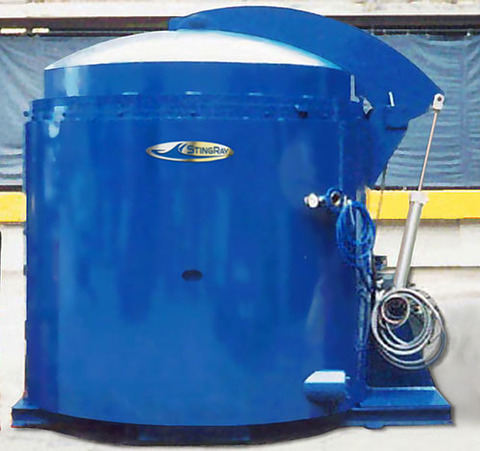 Most motor manufactures state that drying processes not exceed insulation temperatures in the range of 100 to 120° C. With vacuum drying, water evaporates - actually it boils - at 25 to 30° C, well below the temperature that can damage the windings. Oven drying is probably the most common method used by repair shops as it is several times faster than the current circulation or external heaters methods. With oven drying at atmospheric pressure, the rate of evaporation is limited to near the boiling point of water to protect the insulation from over temperature. Using the vacuum process the boiling point of water is well below the insulation temperature limit. This allows for the addition of heat to shorten the drying process by several hours without fear of insulation damage. Traction motor windings are vacuum dried in under an hour. At this low temperature backfill air holds more moisture so the evaporation rate is even faster and the amount of energy required is less too. In all cases it is important to measure the insulation resistance at the end of the drying process, making sure it is within the values recommended by IEEE 43 standard. A misconception holds that windings should not be dried at oven temperatures above 180° F (82° C), for fear that trapped moisture will burst the insulation. That might be a valid concern if the windings could somehow be heated instantly to above boiling temperature. The reality is that windings, like anything else placed in an oven or vacuum dryer, heat up very slowly. Moisture exits the same way it got in. As the temperature of the windings slowly increases, the moisture (just as slowly) evaporates. Every day more than 1,900 EASA service centers steam-clean and then bake stator windings—mostly at oven temperatures of 250 to 300° F (120 to 150° C). Even though many of them repair thousands of motors annually, there is no evidence that this process has damaged a single winding. Burst insulation due to oven temperatures above 212° F (100° C) is simply not a concern. Drying is defined as the vaporization and removal of liquid from a solution, suspension, or other solid-liquid mixture to form a dry solid. It is a complicated process that involves simultaneous heat and mass transfer, accompanied by physicochemical transformations. 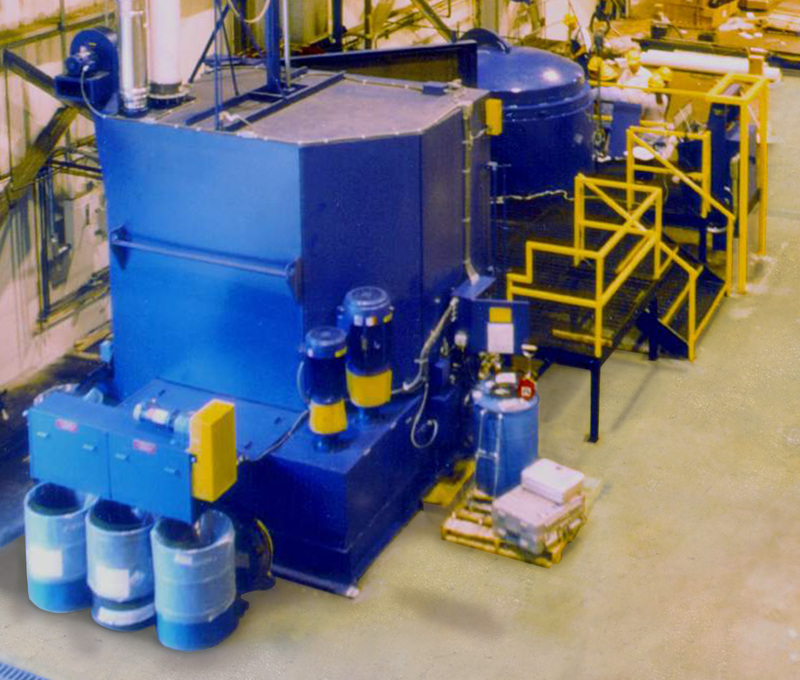 Drying occurs as a result of the vaporization of liquid by supplying heat to wet motor components. In the case of motor components after soap and water cleaning the liquid is generally water. Heat transfer and mass transfer are critical aspects in drying processes. Heat is transferred to the parts to evaporate water, and mass (evaporated water) is transferred as a vapor into the surrounding gas. The drying rate is determined by the set of factors that affect the heat and mass transfer. Drying windings generally follows two distinct drying zones, known as the constant-rate period and the falling-rate period. The two zones are demarcated by a break point called the critical moisture content. During the constant-rate zone, moisture is evaporating from the saturated surface at a rate governed by diffusion from the surface through the stationary air film that is in contact with it. This period depends on the air temperature, humidity and speed of moisture to the surface, which in turn determines the temperature of the saturated surface. During the constant rate period, water must be transported to the surface at a rate sufficient to maintain saturation. Since the motor components are inside of the chamber under vacuum there are limited ways to get heat to the parts. The StingRay Vacuum Dryer uses radiant heat as it doesn’t require any gas to act as the conduction mechanism. Based on the mechanism of heat transfer that is employed, drying is categorized into direct (convection), indirect or contact (conduction), radiant (radiation) and dielectric or microwave (radio frequency) drying. Vacuum drying is the most efficient method to remove moisture. At reduced pressures the heat required to evaporate water is less and the relative humidity is also lower resulting in faster drying. Other options available based on your specific needs. Vacuum pump and chamber are capable of less than 1 torr ( .0015 atm) a pressure below the triple point of water. The triple point of water is the temperature and pressure at which the three phases (gas, liquid, and solid) coexist in thermodynamic equilibrium. At the triple point water boils into a gas at the same time the liquid is freezing into a solid. Obviously, this is not a good operating point to remove liquid water from motor components. Fortunately, the controls on the StingRay Vacuum Dryer allow the operator to adjust the operating pressure and system input temperature to optimize the drying process. A good starting point is to run the vacuum chamber at a pressure of about 0.029 to 0.059 bars (22 to 44 Torr). (Torr is mm of mercury). At this pressure water boils at 25 -30 degree centigrade (77 to 86° F). Then, plot motor megaohm insulation resistance vs. time. When the resistance stabilizes, the drying is complete. At pressures below the triple point (as in outer space), solid ice when heated at constant pressure is converted directly into water vapor in a process known as sublimation. 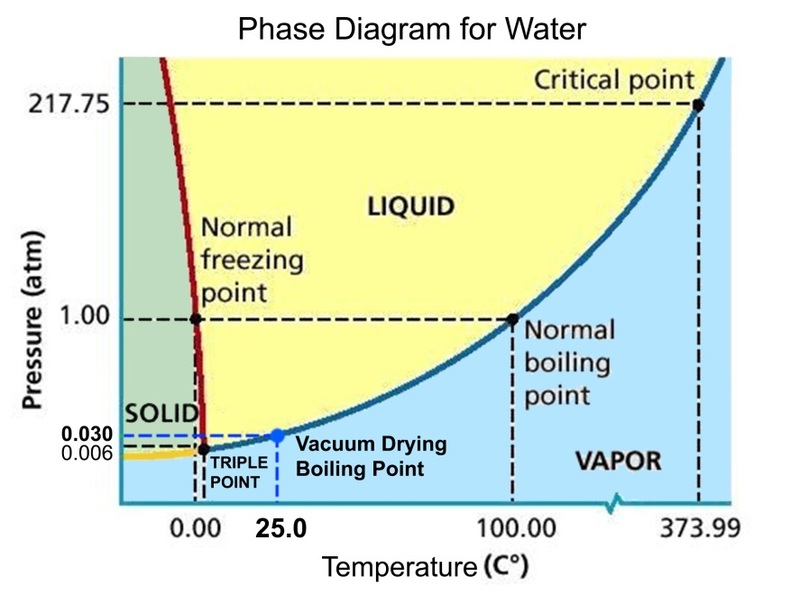 Above the triple point, solid ice when heated at constant pressure first melts to form liquid water, and then evaporates or boils to form vapor at a higher temperature. Vacuum drying is faster, gentler and more energy-efficient than heat drying. The drying time is greatly reduced. A load is dry in 45 minutes vs the four hours in a bake oven. The drying temperature is much lower than an oven protecting critical winding insulation. Maximum temperature is limited to 100° F.
Apply heat to prevent the machine and the water on the part from freezing. When the vacuum is pulled on water in the windings the boiling point is lowered to such an extent that water vaporizes at temperature in the range of 35 to 70° F. The vacuum dryer thus provides less thermal stress on the windings than heating them in an oven. There is less risk of oxidation on any of the parts because there is minimum heat and very little air/oxygen for oxidation. Hazardous fumes or materials are not released into the atmosphere because the drying is done in a closed container and at low temperature. The risk for workers is thus minimized. Energy consumption is reduced with vacuum drying versus oven drying. Since the drying occurs in a much shorter time frame the energy used is less. There are less heat losses and the heat input is less because of the low temperature drying effect.